Bark Alert: Base Camp 2017! A lot has happened since Bark held our month-long Base Camp last summer. Our community is increasingly in many issues, while continuing to advocate for Mt. Hood’s forests every day. 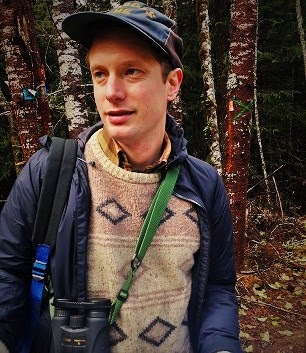 The past year has seen Barkers defend the Elliot State Forest, in solidarity with Standing Rock Water Protectors, and advocating for justice at Portland City Hall. We are inspired by this tireless community and all you do to make the world a better place. You know by now that the Forest Service has proposed the largest timber sale we’ve ever seen in Mt. Hood, a little part of the world that means everything to us and the wildlife that live there. The Crystal Clear Timber Sale area provides habitat for flying squirrels and spotted owls as well as a great opportunity to restore wildlife like native beavers to the landscape. I want to invite you to join Bark from August 24th – September 7th, as we once again host a free campout in a beautiful setting where we can gather together to protect this amazing place and celebrate this community. We will camp in a free, undeveloped site southeast of Mt. Hood. Base Camp is open to all who wish to join for any length of time, even if just one day. 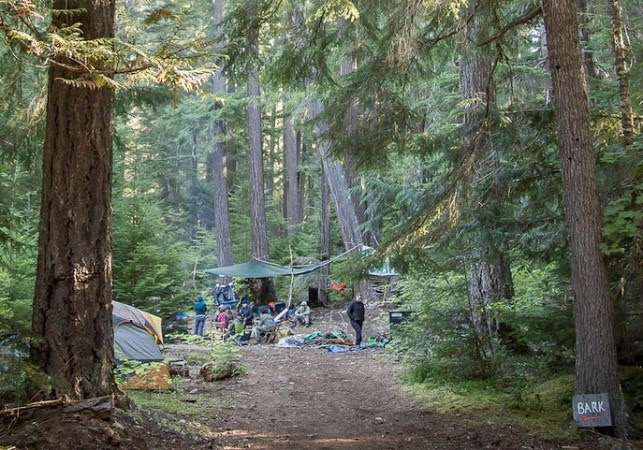 Campers can support Bark's work by volunteering to gather critical information about the Crystal Clear Timber Sale, and as we spend time together in the forest, we will build connections to other environmental, social, and other place-based movements. Details about Base Camp will be available soon! SIGN UP HERE to receive information about location, preparation, and the events schedule for Base Camp! P.S. – Did you know that Base Camp has spread to Northern California? Check out Environmental Protection Information Center’s Base Camp, being held in the Klamath National Forest at the beginning of June!